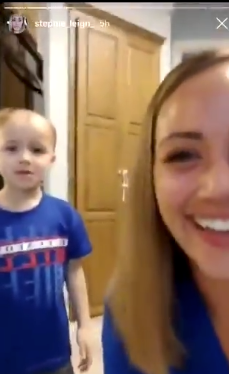 Over the weekend, Stephanie Plucknette, a full-time nurse and mother of three young children, had an amazingly ridiculous parenting moment that has now gone viral. Plucknette was only away in the other room from her kids for about eight minutes, she told BuzzFeed News. 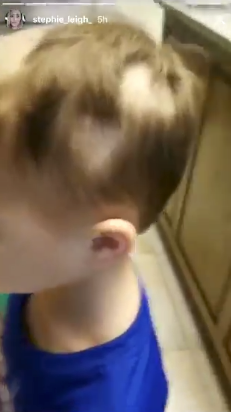 In that time, her kids got a hold of an electric clipper and gave one another haircuts. Plucknette came back to find her oldest, 5-year-old Teddy, running his own barbershop and giving, uh, unique cuts to himself and her other children, 3-year-old Eloise, and Fred, who's 2. "When I walked into the kitchen, Teddy was standing there with clippers in his hands. He was a little proud at first," she said. Plucknette's raw reaction to her discovery has made a ton of other parents laugh after she shared what had happened with her friends and family on her Instagram stories, and her younger brother then shared it on Twitter. Plucknette said she was getting ready to work a night shift and hopping in for a quick shower. She left her kids playing outside in their backyard, where they found a pair of dog-grooming clippers she accidentally left out. "Earlier in the day I had just given the dog a shave out in the backyard, and I wasn’t done clipping her, but I left the clippers outside and I got side-tracked and went grocery shopping and cleaned the house and did other things," she said. 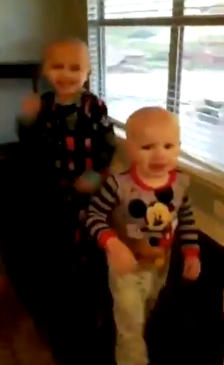 When she realized what had happened in the few minutes she was away from her kids, she said her "first reaction was 'No no no...'"
In the video, Plucknette is seen laughing and tearing up simultaneously as she tries to cope with the situation. She assured Teddy, Eloise, and Fred that it's "just hair" and trying not to freak out herself. "We'll make it work, OK? We'll make it work," she's heard saying to her kids. "Mommy, can you put more hair on my head?" 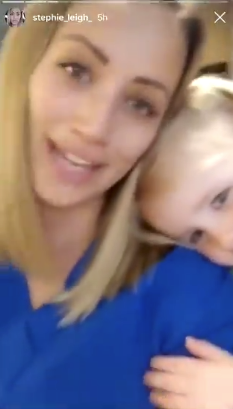 Eloise then adorably and tragically asks her mom in the video. Plucknette's 21-year-old younger brother Ian's tweet, which had a screen-recording of the Instagram stories, has now been viewed more than 8.4 million times, and has been retweeted nearly 210,000 times. Plucknette told BuzzFeed News she gave her brother permission to share it on his social media but did not realize just how fast and far the video would go. She said when she saw how many retweets it had gotten within a day of it being shared, her "stomach sank." "These are my kids and you can't take this stuff back," she said. "I am private. This is fun, but I also want to be protective over my children." Reactions to the video have, fortunately, been mostly positive and supportive. Other than hysterical, wild laughter over the unfortunate event, people are applauding Plucknette for how she handled it all. They applauded her for "good parenting" and being able to keep her composure. "This mom is so understanding and communicative with her kids, it’s wonderful to watch. When the kid admitted he cut his brother’s hair and she told him, 'Honesty, that’s good! 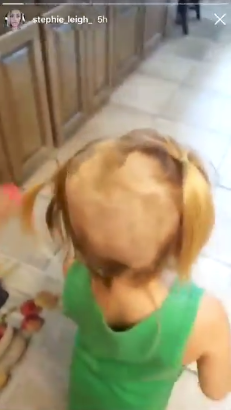 It’s just hair, it grows back' THAT WAS GOOD PARENTING RIGHT THERE," one person wrote. People also empathized with her as a mom. "This is the face of motherhood," someone tweeted. "First of all I shouldn’t have laughed as hard as I did that’s number one.😂😂😂😂," someone else said. "Number two she’s an amazing mom. the way she handled it, the way she spoke to her children and still reassured them that they were beautiful. Mom of the year award goes to her." @itsiannn She was so calm and so understanding. Didn't raise her voice or anything, wow. That's some great parenting right there!! Plucknette said she's grateful for everyone's kind words — she's even heard from people in places like Japan, Kuwait, and Israel. Before speaking with her kids, she said she first called her husband crying, who assured her it was "just hair" and that he would come home to help her manage. He then shaved their children's heads. 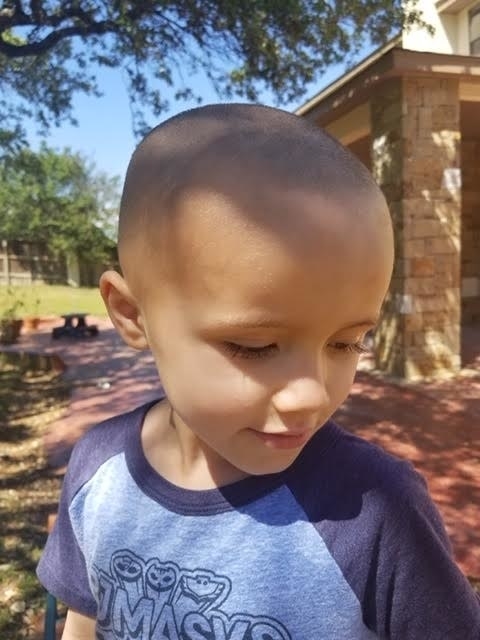 If you're wondering how the kids are doing with their new bald looks, Plucknette told BuzzFeed News they think it looks "cool." "They don't mind the look. They just think it's cool," she said. She's also received private messages from other mothers who admit they would have reacted much more strongly or harshly if their children had done the same. To that, she wants to remind everyone that hair "doesn't define you." "My daughter goes, 'I look like a boy now,' and I go, 'No, you're still beautiful. It doesn't define you. There's more to you,'" she said. And to parents who may be struggling with how to communicate in these often frustrating but sometimes hilarious situations, she advises, "If you wouldn't let someone else talk to your children in that way, you need to stop yourself, and think if you should."